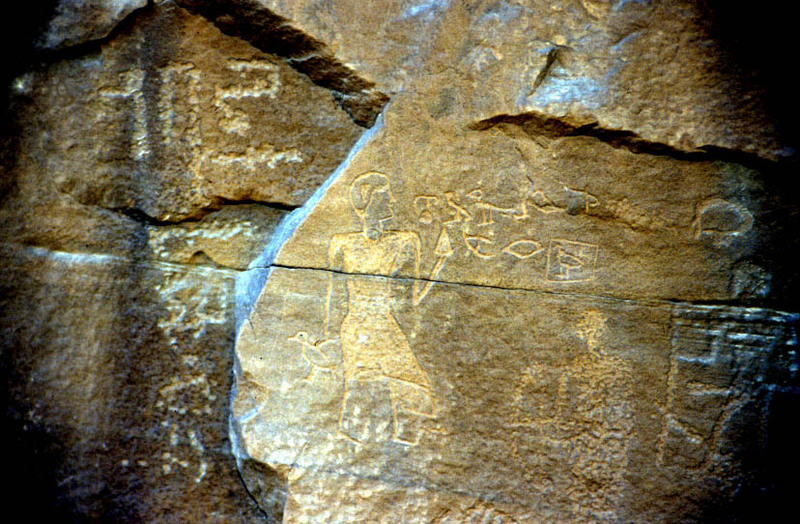 Serabit el-Khadim is a major archaeological site in the Sinai of Egypt where a temple of Hathor was constructed near copper mines that were operated during the Middle Kingdom (DYN 12 = 1983 - 1795 BC) and New Kingdom (DYN 18 through 20 = 1550 - 1075 BC) periods of Egyptian history. 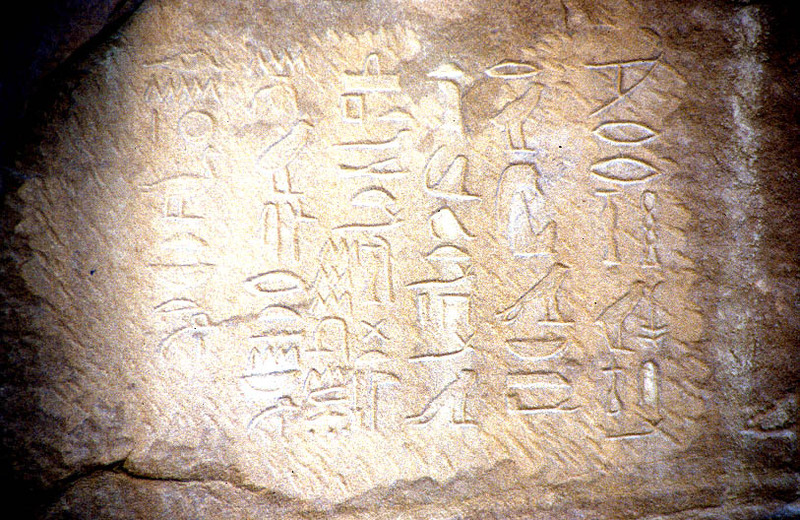 The Egyptian Antiquity Authority has developed pathways and signs at the site, but it is difficult to reach. 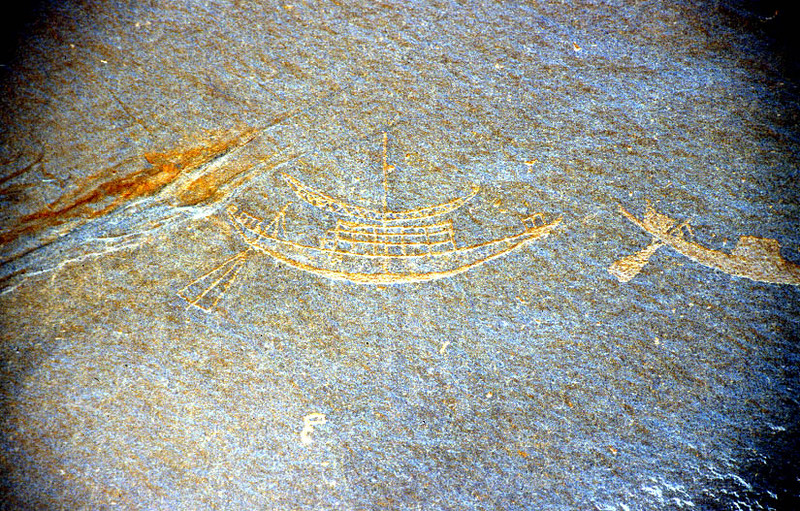 The photographs at the website were taken by Ellen Stern in 2000; the slides were converted to digital images and the website was created by Professor Michael Fuller. 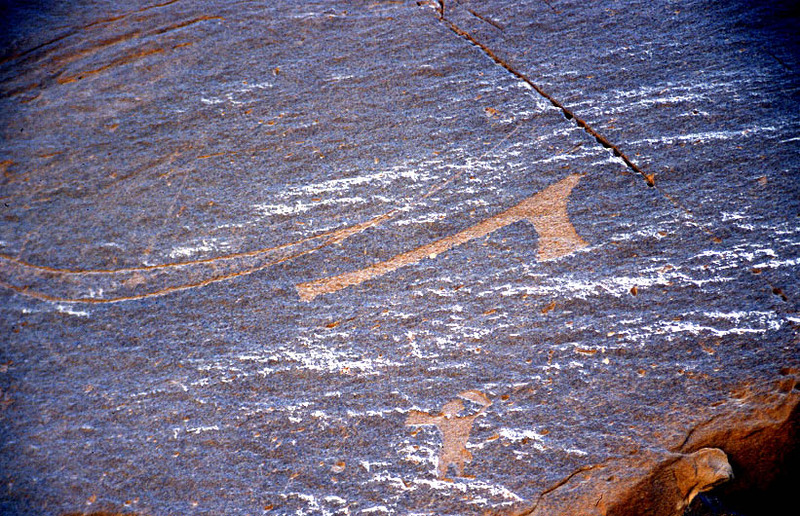 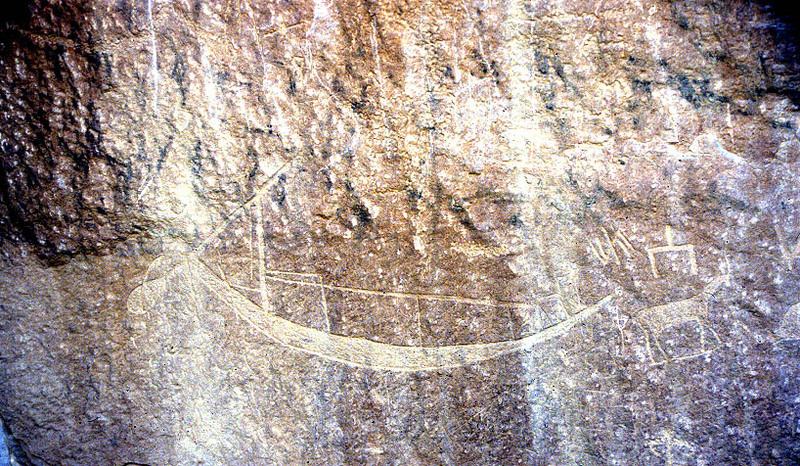 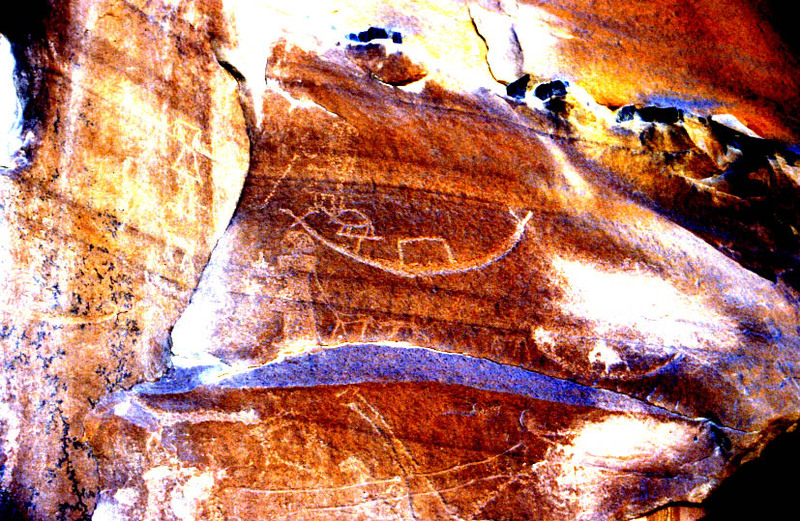 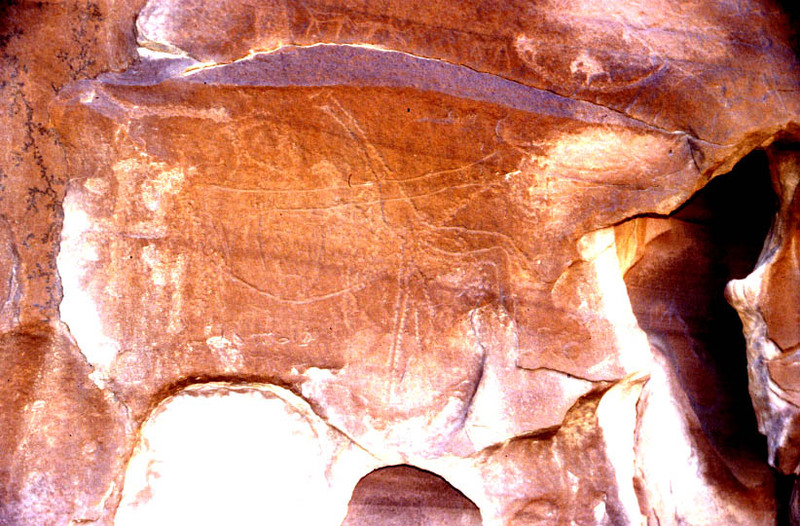 The rock art photographed by Ellen is highly patinated; Professor Fuller has intentionally exaggerated the contrast in these webimages to make the designs more visible.